CANTON, MA (March 22, 2012) – Baskin-Robbins, the world’s largest chain of ice cream specialty shops, today announced that the company has signed a new master licensing agreement with BRICE to greatly expand the brand’s presence in Mexico. The firm’s partners each have nearly 20 years of quick service restaurant (QSR) experience in Mexico and plan to develop 25 new locations in the country this year, with at least 50 more stores to follow over the next several years. They will also serve as the master licensee for several existing Baskin-Robbins sub-licensees in Mexico. The first two restaurants under the agreement will be open this week in Cancun and Mexico City. 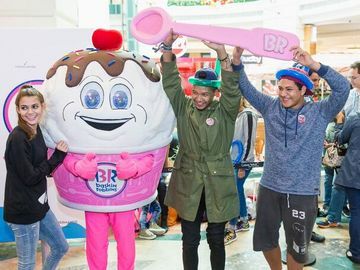 This past January, Baskin-Robbins celebrated its most recent international expansion into Vietnam with the opening of its first three shops in Ho Chi Minh City. As the chain opens the first of its additional 25 new restaurants in Mexico, it has more than 6,700 locations in nearly 50 countries around the world. The new shops in Cancun and Mexico City will feature Baskin-Robbins’ new international store design, which includes a warm and inviting atmosphere, iconic “pink spoon” door handles and textured walls reminiscent of Baskin-Robbins waffle cones, an expanded topping station, LED menu boards and improved dessert displays for modeling ice cream cakes and sundaes. The shops will offer classic Baskin-Robbins ice cream flavors including Mint Chocolate Chip, Pralines ‘n Cream and Jamoca® Almond Fudge. 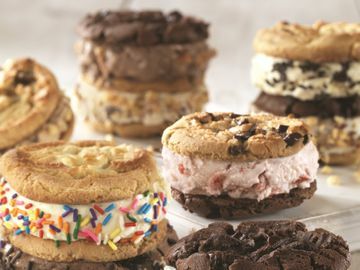 The restaurants will also carry Baskin-Robbins’ wide array of frozen treats, including ice cream sundaes, ice cream cakes and frozen beverages. "Baskin-Robbins is one of the world’s most respected ice cream brands," said Eduardo Diaz, Chairman, BRICE. "We are proud to represent Baskin-Robbins in Mexico as we look to expand its presence throughout the country. We look forward to becoming a top destination in Mexico for friends and family to enjoy world class frozen treats." To commemorate the opening of Baskin-Robbins’ new locations in Mexico, Nigel Travis, Chief Executive Officer of Dunkin’ Brands, and John Costello, Chief Global Marketing and Innovation Officer of Dunkin’ Brands, have traveled to Mexico to take part in the grand opening festivities. "The wide range of delicious and innovative flavors offered by Baskin-Robbins are a great fit for Mexico's growing ice cream market," said Jorge Navarro, CEO, BRICE. 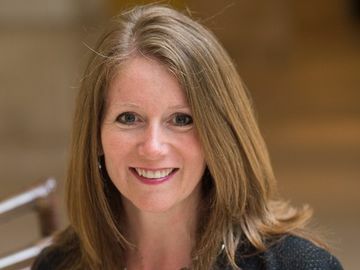 "We look forward to sharing Baskin-Robbins' premium ice cream, ice cream cakes and frozen beverages, along with the brand's fun and great value, with our guests. We are excited to grow the Baskin-Robbins brand while creating new jobs in the country." Named the top ice cream and frozen dessert franchise in the United States by Entrepreneur magazine’s 31st annual Franchise 500® ranking, Baskin-Robbins is the world’s largest chain of ice cream specialty shops. Baskin-Robbins creates and markets innovative, premium ice cream, specialty frozen desserts and beverages, providing quality and value to consumers at more than 6,700 retail shops in nearly 50 countries. Baskin-Robbins was founded in 1945 by two ice cream enthusiasts whose passion led to the creation of more than 1,000 ice cream flavors and a wide variety of delicious treats. Based in Canton, Mass., Baskin-Robbins is a subsidiary of Dunkin' Brands Group, Inc. (NASDAQ: DNKN). For more information, visit www.baskinrobbins.com.